The future of Penn State basketball might be decided in 2017-18 but the Nittany Lions got their 2018-19 recruiting class down on paper Wednesday morning. The two guards, Rasir Bolton and Myles Dread, have signed their national letters of intent to enroll at Penn State. Dread comes in at 6-foot-4 from Burtonsville, Maryland, playing for Gonzaga College High School en route to the Washington Post’s number-one ranking in 2016-17. As a junior, Dread averaged 10.4 points and 4.9 assists per game as Gonzaga posted a 32-5 record. He joined future teammates Lamar Stevens, Nazeer Bostick and Tony Carr on the 2015 DC Classic All-Tournament team and was a repeat selection when Gonzaga claimed the championship in 2016. As a member of the Team Loaded Virginia team that won the 2017 adidas Uprising championship, Bolton averaged 11.6 points during the eight-game tournament with two 20-point games. Bolton, from Chesterfield, Va., is rated as the top point guard in Virginia and as one of the top point guards on the East Coast. An all-state and all-conference pick following his sophomore year where he had multiple 30-plus scoring games, Bolton has already eclipsed the 1,000-point scoring mark. The son of Ray and Chalonda, he plays for Massanuttan Military Academy. 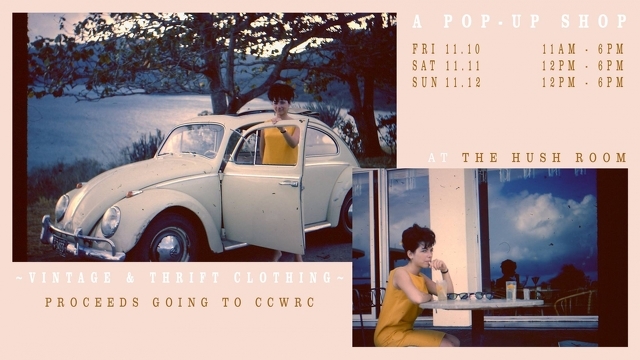 State College DIY art space The Hush Room will host a pop-up shop benefitting the Centre County Women’s Resource Center (CCWRC) from Friday to Sunday. The venue is located at 110 Hetzel Street, and the pop-up shop will offer hand-selected clothing of all styles ranging from streetwear to vintage.